Blizzard offers a variety of age-appropriate ski and snowboard programs from beginners to experts, for youth in Kindergarten through 12th grade. All Blizzard members enjoy professional, adult instruction, always learning at your own ability level and progressing at your own pace. Our Kindergarten through 5th grade program members experience all-day, structured, supervised groups, like you would expect in other camps or schools. 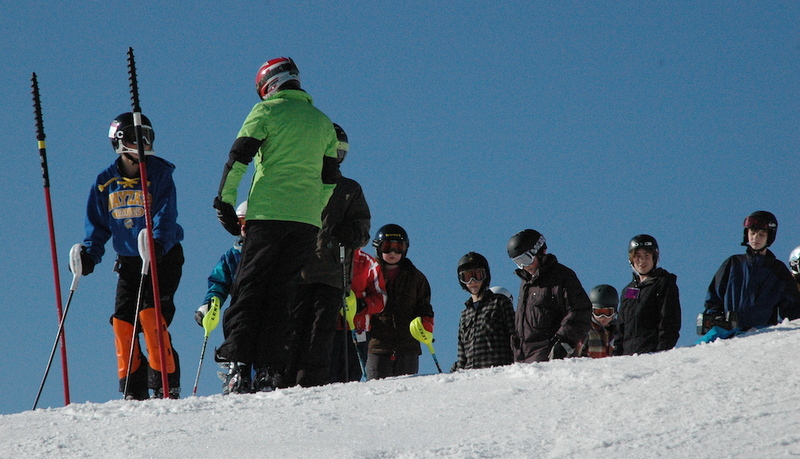 In 5th-12th grades, members develop personal independence, on–hill responsibility and time management skills through mastery-based skiing and snowboarding instruction using our Color Level system. Parents – we didn’t forget about you! You can develop your personal skiing or snowboarding skills in the Parent Breakthrough Program, or join your kids on the slopes as a Chaperone or Instructor. All Blizzard lessons are taught by adult instructors. Many instructors have been teaching with Blizzard for five, ten and even twenty years! You can put your mind at ease know that all Blizzard instructors are trained by PSIA/AASI certified clinicians and go through background checks before teaching your children. Plus, all new instructors team-teach for a minimum of two years with an experienced instructor before teaching independently. Blizzard does not hire high school teens as instructors and recommends enrolling in our Apprentice Instructor program. At Blizzard, we aim to make it easy to enjoy the slopes! With over twenty bus stop locations across the Twin Cities, from Shoreview to Eagan and Mound to Mendota Heights, you’re sure to find a bus stop convenient for you. Each Saturday or Sunday, all Blizzard buses arrive at the same snowsports destination with members from all over the metro area enjoy skiing and snowboarding together! Blizzard offers the longest ski and snowboard season of any traveling school in town, giving you more access to fun on the slopes! Twelve Saturdays, from November through February; OR eight Sundays between January and February, plus Teen & Family bonus trips on MLK Day, to Spirit Mountain in Duluth in March, and Family Mountain Trips during Spring Break! 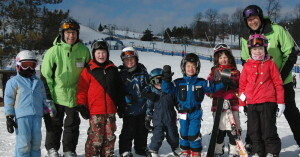 Only Blizzard offers unique programs and services so your entire family can enjoy skiing and snowboarding together! Private Lessons, Guests Welcome, Teens only Trips, Family Spring Break Mountain Trip and more! After paying your program fee, enjoy our flexible Pay-As-You-Go plan and only pay for the weekly trips you attend! Weekly trip fees cover your lift ticket and round-trip bus transportation. Birthday party? Sick child? Out of town? No problem! You only pay for the trips you attend! Plus, Blizzard offers you the simple convenience of credit card payment. We want to make skiing and snowboarding accessible to you and your family. We are pleased to offer flexible payment plans and scholarships through our membership funded Family Assistance Fund. Contact the office for more information.